Get a detailed look at trends and patterns among Salesforce users, and how organizations leverage the CRM to stay ahead of the competition. 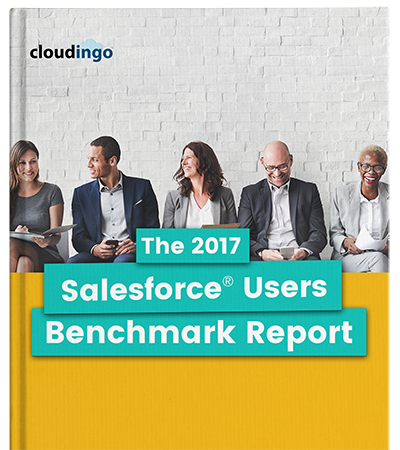 To find out where Salesforce users are succeeding and where they’re lagging behind, we surveyed 897 Salesforce users across the globe about their current goals and challenges, tactics, and what they expect from the future. Goals and challenges: What are Salesforce users struggling with? What are they hoping to achieve with their orgs over the next year? Tactics and priorities: What tactics are Salesforce users using to meet their goals, and which do they see as most important to their business? Trends and opportunities: How can Salesforce users leverage Salesforce tactics and tools to stay ahead of the competition? Share a few contact details and your download link will be on its way. Join the thousands of companies who rely on Cloudingo to clean and dedupe Salesforce data.